mAbxience has a multi-disciplinary team of more than 300 people. 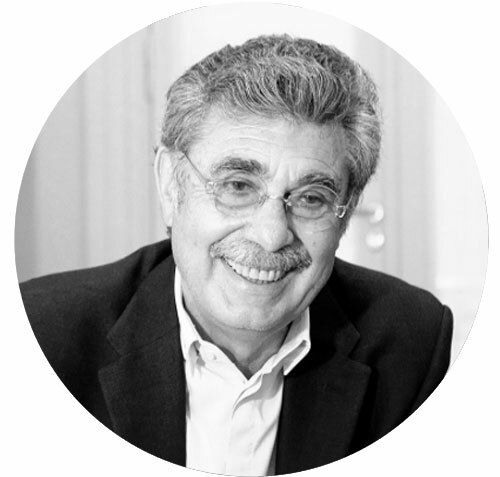 Dr. Sigman and his biochemist wife, Silvia Gold, founded mAbxience in 2009 as the biotechnology arm of Insud Pharma, which the couple set up in 1977. Hugo Sigman is a trained physician (University of Buenos Aires), specialising in psychiatry. He launched the Research, Development and Innovation Consortium (ID+i) to focus on scientific research some 19 years ago. The Consortium brings together private enterprise and public institutions in Argentina to focus on the research and development of monoclonal antibodies in the search for new cancer treatments. 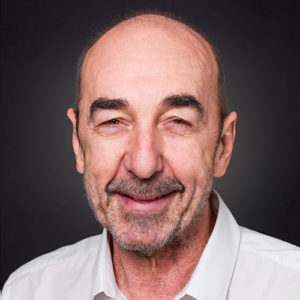 Since the end of 2013, Hugo Sigman has been president of the Argentine Chamber of Biotechnology (CAB), an organisation that seeks to strengthen the leadership role in biotechnology at a regional level. He also recently joined the YPF Foundation’s Advisory Board as an adviser. In 2008, Sigman received the Konex Award in the Innovative Entrepreneur category; in 2011, he was recognised by the Asociación de Dirigentes de Empresa (Society of Business Directors – ADE) in the Agro-industry category; and, in 2013, he was selected as Entrepreneur of the Year by the Endeavor Foundation. His recent speaker appearances include the Experiencia Endeavor event in 2013; the 11th AIDS Symposium, organised by the Huésped Foundation in Buenos Aires, in 2012; the United Nations Conference on Trade and Development (UNCTAD) held in Qatar in 2012 and Geneva in 2011; the 47th IDEA Colloquium in Mar del Plata, Argentina in 2011; and the 15th Conference of the Argentine Industrial Union (UIA) in Buenos Aires in 2009. 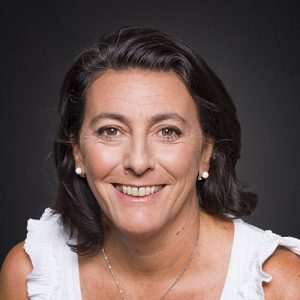 Emmanuelle Lepine is mAbxience General Manager. She brings to mAbxience 20 years of experience in the pharmaceutical and biotechnology industry. 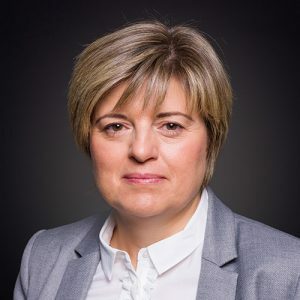 Emmanuelle is a recognized leader, with hands on experience in establishing and leading successful companies. With her global expertise, Emmanuelle has been supporting organizations to successfully develop, register and launch products on international markets. Emmanuelle started her career in the pharmaceutical retail sector, to later join the industry in a bioanalytical laboratory at Pharmascience in Canada. During her 12 years at Pharmascience, she was given different leadership roles, first to drive the growth of the International Regulatory Affairs division and later to lead the licensing activities within their global business development unit. She later spent 5 years with the Alvogen group, where her mandate was to build their biosimilar strategy. Her work led to the creation of Alvotech, where she occupied the position of Deputy CEO. For Alvotech, she supported the company creation, startup activities, business development activities, strategic plan design and execution, as well as being instrumental in supporting all aspects of its first 3 years of growth. In parallel, Emmanuelle was leading her own consultancy company, supporting local and global organizations in the field of Biosimilars. 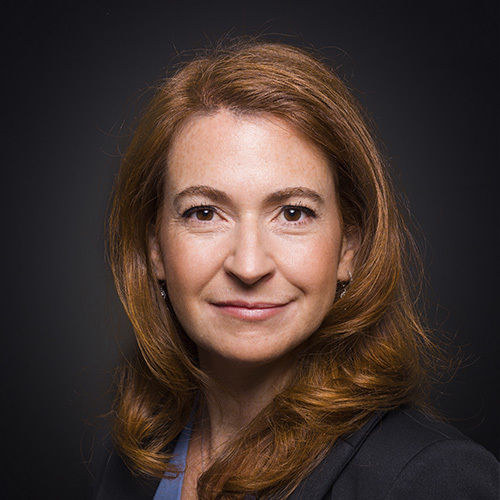 Emmanuelle holds a Biochemistry degree from University Concordia in Montreal (Canada), as well as a Business degree from the HEC Montreal (Canada) and continued education at Harvard Business School. Esteban Corley, Director of mAbxience Argentina (pharmADN) has more than 30 years’ working experience with Biopharmaceuticals. All his career has been devoted to develop, manufacture and market Biosimilar pharmaceuticals to improve access and affordability. 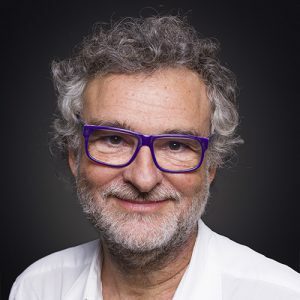 During his professional career he has co-founded several Biotech companies in Argentina and contributed to achieve close collaborations between them and European Biotech companies underlining the international scope of these biotech ventures. In 2007 Esteban co-founded pharmADN, a company that is an essential member of the mAbxience group, producing monoclonal antibodies. He is a member of the advising committee for the CABBIO (Argentine-Brazilian Biotechnology center) and a member of the Board of Directors of Biotecsur, Mercosur´s Biotechnology Platform, he is also a member of the Argentine Chamber of Biotechnology. Esteban holds a degree in Biological Sciences from the University of Buenos Aires, and a Business degree from the Universidad Austral. Mauricio Seigelchifer is Technology Transfer Director in mAbxience. He has over 30 years’ experience working in the field of biopharmaceuticals. He is very committed to improving the access of all the patients to the biopharmaceutical medicines. 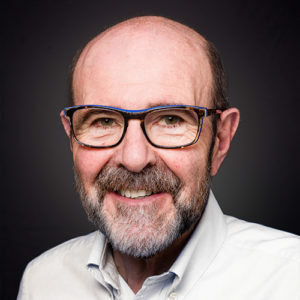 Mauricio is co-founder of several Biotech companies where he helped to develop and commercialize medicines as Interferon alfa, Interferon beta, Erythropoietin and a vaccine against Hepatitis B. For more than 12 years he was President of PC Gen. In 2007 Mauricio co-founded pharmADN, a company that is an essential part of the mAbxience group. pharmADN was initially created as an R&D company which is now producing monoclonal antibodies. Mauricio obtained a PhD in Biological Sciences at the Universidad de Buenos Aires, and later on, he performed a Post Doc at The Wistar Institute in Philadelphia. Jesús is Quality Director at mAbxience. He brings to the company more than 40 years’ experience in the biotechnological pharmaceutical industry and has worked in all stages of the manufacturing process for biological active substances (both small molecules and proteins): Development of biotechnological processes; modification via biomolecule synthesis; scaling, design and industrialization; validation; manufacture (oral and parenteral); control systems and quality management. Jesús began his professional career in 1974 at Antibióticos, S.A., León (Spain) as an R+D technician. He then headed the Chemical Development and Industrialization department in this company and later joined the operations group as Head of Downstream Processes (Purification and modification through synthesis). Finally he became API Quality Management Director (Quality Assurance, Quality Control and Regulatory Affairs), also becoming responsible for the Quality Control of the group’s plants in Italy and Spain. He was involved in the design and commissioning of plants to obtain, purify and finish a wide range of molecules (antibiotics, cytostatics, enzymes, proteins, sterile finish) in Italy, China and Spain. He was involved in several projects for biomolecule development and industrialisation between Antibióticos S.A. and biotechnology companies in various countries (Sweden, Italy, the Netherlands, Great Britain, USA and China). In 2009 he joined the GH GENHELIX project as Quality Management Director and, when the company was acquired by the Chemo group in 2014, he became Quality Management Director at mAbxience. Jesús has a degree in Organic Chemistry from the University of Zaragoza and he worked for the Spanish National Research Council (CSIC) in the recovery and analysis of complex natural products before joining the pharmaceutical industry. Luisa Amoedo is mAbxience León Plant Director. She brings to mAbxience 20 years of experience in the chemistry and pharmaceutical industries. Luisa started her career in a Bromatological Laboratory, being a key person in the growth of the company for 7 years, implementing more than 50 new analytical methods and leading the team creation and growth. In 2004 she started her biotech journey in a manufacturing plant belonging to Genentech and Lonza, where she worked for almost 10 years. Luisa started leading the Cell Culture team in the start-up of the plant and during the change to a multiproduct plant. After that, she joined the tech transfer team, as the cell culture lead to complete the experience of being Program (Contract and Project) Manager, leading the evaluation, contract establishment, tech transfer and implementation of new projects. In 2013 she joined mAbxience, as Tech Transfer Manager, leading the successful projects with Libbs and SIBP, and working on the technical Due Diligence to Genhelix. Once mAbxience closed the purchasing of Genhelix, in July 2014, Luisa moved to León to lead the construction and start-up of the plant. Luisa holds a Chemistry Degree from Santiago de Compostela University (Spain), a Master in Safety and Health from Vigo University as well as a MBA from the Business School Afundacion (Vigo). Susana Millán is Medical Director in mAbxience. During more than 20 years she has acquired a broad expertise in the field of clinical studies, pharmacovigilance, data management, regulatory affairs, pharmacology and clinical strategy. Susana started to work in the pharmaceutical industry in the field of new drug development in oncology from the early development in Rhone Poulenc Rorer (Sanofi Group), as Clinical Research Associate, to later become Oncology Manager, in charge of Gene Therapy Phase I Studies. She later spent 10 years in Pharmamar in the Clinical Development Department, where she took the position of International Global Director for Clinical Operations and Data Management, managing the goals and objectives of the clinical trials in Oncology and Hematology indications. She joined mAbxience in 2011 as Medical Director, including Medical, Clinical Trials and Pharmacovigilance departments. She is in charge of managing the clinical development of the company’s pipeline, identifying opportunities and leading initiatives to streamline processes and enhance productivity, efficiency and quality of outputs for Clinical activities. Susana holds a University degree in Life Sciences (Biology & Biochemistry) from Universidad Complutense de Madrid University. She has completed her PhD in Molecular Biology and postdoctoral studies in Human Physiology in the Medicine Faculty of Complutense de Madrid University. 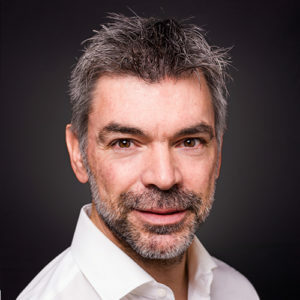 Eduardo Cioppi is the Commercial Director for LATAM at mAbxience. He has over 25 years’ experience in the pharmaceutical industry in the areas of quality, regulatory affairs, business development and marketing. Eduardo started his professional career in quality control at Novartis where he became the head of the analytical laboratory. He subsequently joined Abbott Laboratories Argentina as Quality Engineering Manager, where his main responsibility was the administration of the subsidiary’s central documentation system and quality assurance processes. After years of experience in multinational companies, he joined Laboratorios Bagó as Quality Control Manager, where he was also responsible for organising the Regulatory Affairs Department. He subsequently ended up working in business development areas as Regional Manager of Asia, Africa and Europe. In this role, he acquired experience in commercial sectors and business development in various regions. After 10 years at Bagó, he joined Amega Biotech, where he performed management roles on a global level in the areas of regulatory affairs, quality and business development. This is also where he started to work in the biotechnology business. In 2016, he joined mAbxience as Commercial Director for LATAM. He is responsible for business development in the region, generating plans and projects for new commercial opportunities and administrating and managing existing mAbxience commercial operations in Latin America. Eduardo has a degree in Chemical Sciences from the Universidad de Buenos Aires, has completed a master’s in Business Management from the Universidad Católica Argentina and has a postgraduate in Project Management from the Instituto Tecnológico de Buenos Aires (ITBA).